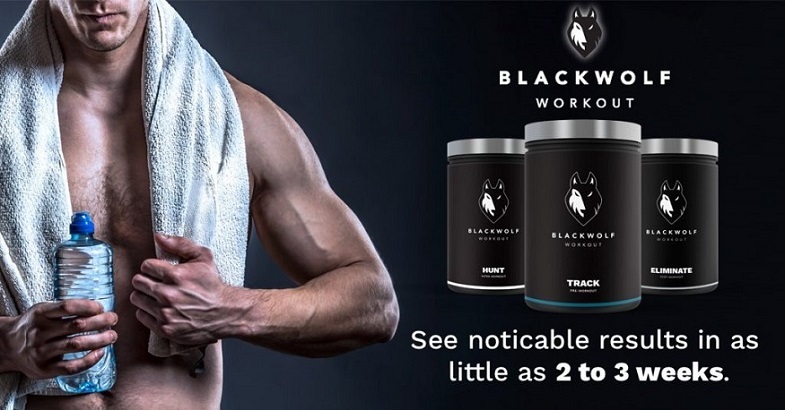 Do you really need the Black Wolf workout formulas? That’s a good question, and the short answer is yes. You can just stop reading this review now, go online and buy the BlackWolf gym supplements you need. But if you need further convincing, you’ll need to go on. 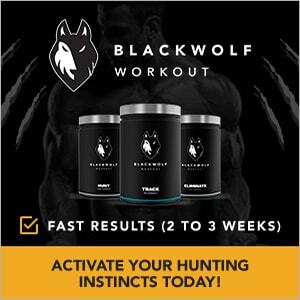 Why Choose Black Wolf Workout Formulas? Ask any doctor or fitness trainer about what’s absolutely needed when you want to keep trim, and invariably they’ll mention 2 things: the right workout to achieve your fitness goal, and the proper diet that provides the nutrients and calories necessary for your needs. These are just the barebones requirements. However, many people who train themselves constantly realize the importance of adding the right supplements into the equation. These can provide the extra energy and strength you need to work out properly, maximize the muscle gains you get from your workouts, and enable you to recover better and faster from your exertions. The problem, however, is that there are simply too many supplements to choose from. There are also several types of workout supplements as well. Some are meant to be taken before you exercise, others help you while you work out, and you even need a supplement to take advantage of the “window” of opportunity after you work out. You also need to take into account that men and women have different needs. 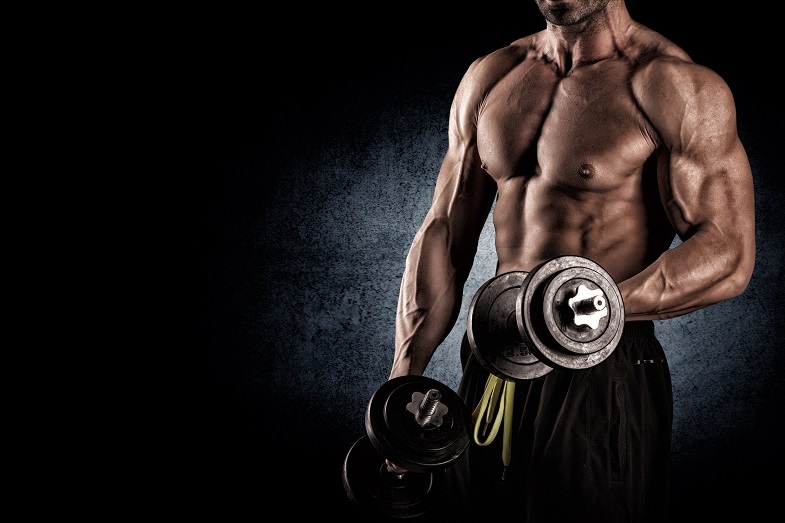 For example, men require help in maintaining their testosterone levels, while for women their different chemistry and muscle gaining capacity requires a different set of supplements altogether. So with all these factors to consider, what’s your choice? Of course, you can just pick one supplement to take for before you work out, for during the workout, and for afterwards. That’s always a risk because you’re not really sure how these supplements will work in your body together. You also can just pick any supplement, regardless of whether you’re a man or a woman. Or, you can just take Black Wolf workout formulas. 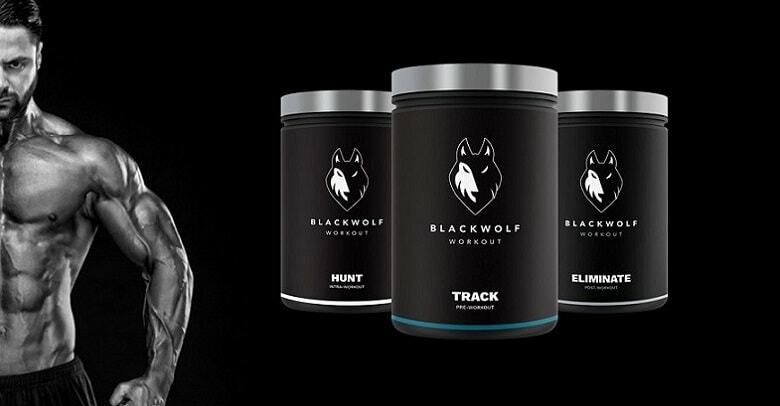 The Black Wolf premium packs are relatively new to the supplement scene, though the brand has been around for about a decade now. During all that time they’ve researched and developed various supplements for nutrition and workouts. They also use the venerable Wolfson Berg manufacturing company to source their ingredients, and that’s a company that supplies more than a hundred different brands with ingredients. It’s fair to say that these latest pack of supplements represent a new peak for Black Wolf, and it also signifies a significant advancement in supplement development. They’ve come up with a stack of supplements designed to work properly alone or together, and they’ve even managed to set the price to a still reasonable level. The first thing you need to understand is that Black Wolf offers packs. That is, you get a separate supplement for pre-workouts, intra-workouts (supplements you take while you’re working out), and for post-workouts. So you get 3 supplements in 1 package. The $82.95 price tag reflects this, but when you consider that you get 3 supplements it means that the real price is actually $27.65 per supplement. That’s extremely affordable compared to other similar products in the market. The next thing you need to remember is that you have options depending on your gender. You can get the BlackWolf Hunter Pack if you’re a man, but you need to get the BlackWolf Huntress Pack if you’re a woman. Each one is tailored to your gender-specific needs so that you can maximize your workout gains. The most obvious difference here is the formula for your pre workout supplement. Other top pre workouts don’t factor in this difference, but BlackWolfe does. This is the organic pre workout supplement in the Hunter Pack, and it’s designed specifically for men. It offers a very long list of ingredients (it contains 20 active ingredients), but mainly you get a formula consisting of BCAA amino acids, protein, and creatine. It’s the best pre workout for pump. The technical term for “pump” is hyperemia, and it refers to having more blood than usual in your vessels that supply your muscles. Your muscles need more blood to get the oxygen and nutrients they need, while the process also removes lactic acid and carbon dioxide that can lead to fatigue. It’s this process that helps encourage greater muscle growth. It increases your intensity. Your pre workout mix has to provide you with the energy you need to make sure that you can get a proper workout in. That means you have to lift heavier weights, and you can’t keep your exercise period short. You will need to last. So for your workout, you need both strength and endurance, and Black Wolfe provides a long list of ingredients that do just that. The formula is the result of long research to get the ratio of the ingredients right. It enhances your focus. It’s not enough that you’re physically ready for your workout. You have to be mentally prepared as well. You need the right focus so that you can encourage yourself to lift heavy weights and to do a challenging number of reps for each exercise. It’s not always going to be easy. In fact, sometimes people can just lose the will to exercise. They may find it too hard, or they can get bored. They may lose their focus and do a half-assed job, so they don’t get the form right. They may even lose concentration in what they’re doing that they can hurt themselves. 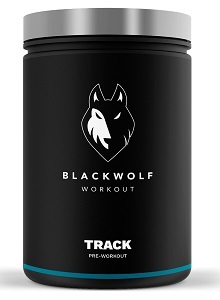 The BlackWolf BCAA pre workout mix is designed to help you mentally so that your focus is rightfully on your workout. You just take it before you exercise, and it’ll help you to prepare mentally for the challenge ahead. This is the counterpart of the Track supplement, and it’s the women’s pre workout drink. It takes into account several notable differences, while it offers similar benefits as well. It readies you physically and mentally. Like its Track version, the Trail will provide you with the supplements that will give you more energy for your workout. Both men and women need all the help they can get, and extra strength and endurance will come in handy. The formula also contains antioxidants to help combat the symptoms of aging. Women also don’t produce as much testosterone as men. This difference is also factored in. Testosterone comes in handy for men, but it’s not so useful for women. Having too much testosterone can cause problems, so here there’s really no ingredient that’s designed to encourage the body to produce more testosterone. Because of this difference, women also don’t find it as easy to build huge muscles. However, this drink can help women build just the right amount of muscle mass so that they can help make women stronger while they still remain feminine in their looks. Women also take birth control pills. The wrong supplements can really wreak havoc when used in conjunction with birth control pills. While you can consult with your doctor if you want to be sure, the Trail formula takes birth control pills into account. So you won’t get an unwanted pregnancy, nor will you experience weird symptoms when you take this supplement with your pills. Unlike the pre and post workout supplements you take before and after a workout, this is the intra-workout supplement. This is what you take in between breaks during your workout. Every trainer will tell you that you need to hydrate, but you don’t just take regular water. That may make you feel too full. Instead, you take Hunt. Think of your energy reserves as the fluids you need in your race car. They’re like your gasoline, brake fluid, and engine coolant. These are the thing you need so that your car will run fast and efficiently. But as the race goes on, these fluids will be used up, so you’ll need to get more of them during your pit stops. The Hunt supplement essentially offers the same benefits for your body. 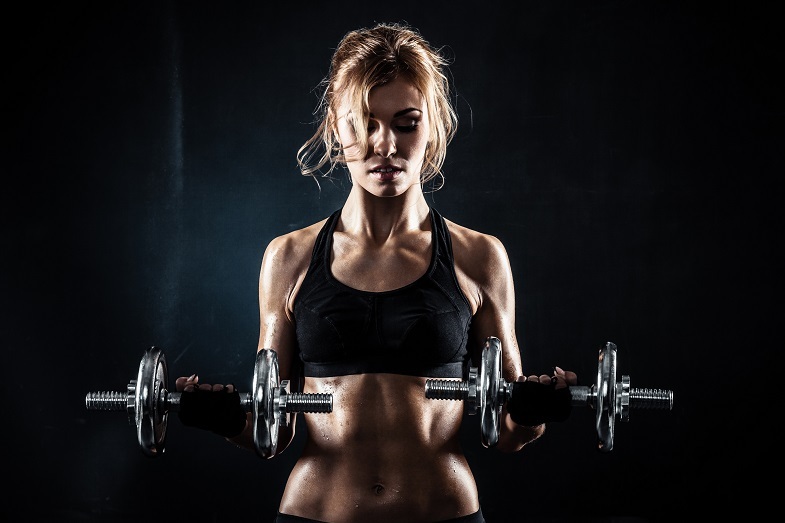 You can take the supplement so that you can add to your energy reserves and you can maintain the same strength and speed that you had when you started your workout session. It also helps combat fatigue, so that you can exert full effort during your entire scheduled exercises. That’s the problem with some people when they work out. They may start out full of energy, but in just a short while they may limp and taper off. Maximizing your gains means trying to give a peak performance throughout the workout, and Hunt can do just that. So you don’t just hydrate yourself and quench your thirst, but you make sure that the latter part of your workout doesn’t result in a limp performance. It’s easy to consider this as the best recovery drink you can take, as it contains more than 20 muscle recovery supplements in its ingredients list. This recovery formula has been designed very precisely so that you exactly the nutrients you need for this period after your workout. It’s been said that the recovery period is just as important as your workout. This is the time when your muscles repair the microscopic tears you’ve caused with your weightlifting. With the right ingredients, your body will do this function more effectively, so that it can take the protein in your system and build bigger muscles. It also helps you recover your strength after you work out so that your fatigue doesn’t last all that long. This will help you avoid becoming a vegetable for the rest of the day, and also energize you enough so you can exercise the next day. Of course, it’s best that you give your muscles a full rest day to recover. So if you focused on your upper body in one day, for the next you should concentrate on your legs. There are several good reasons why BlackWolf may be a better alternative than other brands—and that includes the brands that have been popular for a longer time.